See Schmalzer in dialogue with Joshua Blu Buhs about Bigfoot and the yeren. In the 1920s an international team of scientists and miners unearthed the richest evidence of human evolution the world had ever seen: Peking Man. After the communist revolution of 1949, Peking Man became a prominent figure in the movement to bring science to the people. In a new state with twin goals of crushing “superstition” and establishing a socialist society, the story of human evolution was the first lesson in Marxist philosophy offered to the masses. At the same time, even Mao’s populist commitment to mass participation in science failed to account for the power of popular culture—represented most strikingly in legends about the Bigfoot-like Wild Man—to reshape ideas about human nature. The People’s Peking Man is a skilled social history of twentieth-century Chinese paleoanthropology and a compelling cultural—and at times comparative—history of assumptions and debates about what it means to be human. By focusing on issues that push against the boundaries of science and politics, The People’s Peking Man offers an innovative approach to modern Chinese history and the history of science. Science Dissemination for Whom, by Whom? 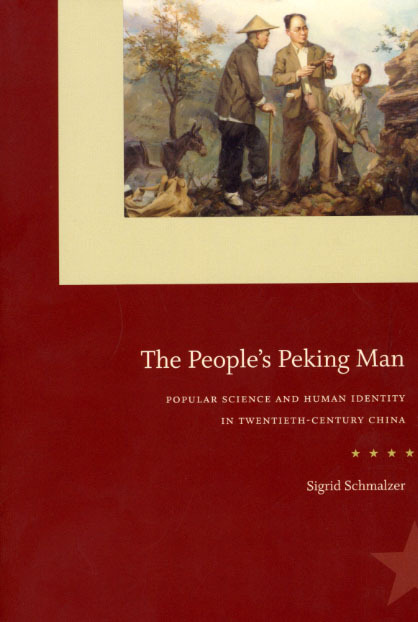 "A highly original book....Schmalzer’s book finds a great deal to say about issues as diverse as the historical significance of Chinese fossil humans, the search for yetis (called yeren, or ’wild people’ in China), changing concepts of human identity, and the conflict between top-down science dissemination and bottom-up mass participation in Chinese science. She also explores other diverse issues that include the connections among science, politics, religion and culture, and the relationship between professional scientists and the general public. Schmalzer presents all these topics in a lively, accessible and thought-provoking way." "Peking Man, then, is a wonderfully charged focus for this absorbing study of ideas about popular science, evolution and human identity in 20th century China. . . . An extraordinarily rich, perceptive and highly readable book, that takes in ideas about yeren (the Chinese yeti), the evolutionary link between labour and humanity, the government’s response to Falun Gong and much more."